The Best Chef blogs from thousands of top Chef blogs in our index using search and social metrics. Data will be refreshed once a week. Also check out Chef Podcasts and Chef Youtube Channels. 2.62 Hunting Chef | Father, outdoorsman, husband and chef. 2.82 From Steph to Chef! 2.98 Chef Murph's Blog | Good Food Makes for Better Decision's!!! Chef newsletter is a comprehensive summary of the day's most important blog posts and news articles from the best Chef websites on the web, and delivered to your email inbox each morning. To subscribe, simply provide us with your email address. San Francisco, CA About Blog It's a subreddit for chefs to network, discuss ideas and concepts, and talk about the food world in general. Discussing menus/pricing/seasonal ingredients/recipes, virtually anything within the professional realm of cooking. What else do you really need to know? Facebook fans 1,077,579. Twitter followers 463,723. Milan About Blog Fine Dining Lovers by S.Pellegrino & Acqua Panna explores the culture of taste and conviviality with gourmet articles, chef interviews, videos and photos. Inspirational stories, chef interviews, daily blogs, videos, photos and recipes. So, whether you are an expert gourmand or a curious foodie, you have come to the right place! Facebook fans 389,187. Twitter followers 25,118. Poway, CA About Blog Chef Works is the leading manufacturer and distributor of chef clothing and uniforms for restaurants and hotels worldwide. Our mission is to provide all our clients with new, innovative, high-quality products at competitive prices along with the tools needed to manage any uniform program; no matter the size. Facebook fans 128,336. Twitter followers 3,155. About Blog Blog by Nikki. A great place to find easy, delicious and family friendly recipes. Facebook fans 2,298,009. Twitter followers 8,222. Salt Lake City, UT About Blog The Stay at Home Chef is run by Rachel Farnsworth. This is the place where I share restaurant quality recipes you can easily make at home. I’m bringing back the family dinner in a really delicious way! Facebook fans 849,459. Twitter followers 7,228. About Blog Pampered Chef exists to help you enjoy the moments most important to you and yours by inspiring satisfying, stress-free meals fit for the way you live. Facebook fans 796,204. Twitter followers 15,898. NYC & Michigan About Blog Mario is one of the most recognized and respected chefs worldwide. He believes that food, like most things, is best when left to its own simple beauty. To that end, Mario, together with partner Joe Bastianich, create magic night after night in their restaurants. Facebook fans 643,004. Twitter followers 1,782,784. Chicago, IL About Blog Home Chef brings people together around the dinner table. Helping you save time while enjoying real home cooking and the joy that comes with it. Our mission is to make cooking fresh food at home as easy as possible. Facebook fans 282,693. Twitter followers 7,720. Pike Place Market, Seattle, WA About Blog ChefSteps believes cooking makes us better people—seriously. Founded in 2012, we’re a Seattle-based food and technology company on a mission to help people cook smarter. Chefsteps.com and its companion app are designed to inspire creativity and encourage experimentation through high-quality interactive content, techniques, tools, and resources. Facebook fans 597,990. Twitter followers 56,475. Paris About Blog Blog by David Lebovitz, pastry chef and cookbook author, who lives in Paris and writes about food, culture and travel. Facebook fans 172,167. Twitter followers 225,194. Washington, DC About Blog Welcome to Once Upon a Chef! Here you'll find easy and elegant recipes with step-by-step photos for every occasion. Hope you'll visit often and be inspired. Facebook fans 205,781. Twitter followers 1,631. London About Blog Great British Chefs is the go-to destination for food lovers in search of recipe inspiration, expert cooking guides and the latest chef and restaurant news and reviews. Facebook fans 196,987. Twitter followers 78,421. Tampa, FL About Blog Hey y’all! My name is Jessica Segarra and I am the girl behind The Novice Chef. Delectable Everyday Recipes: sweet & savory recipes for the whole family! Facebook fans 208,679. Twitter followers 9,485. Boulder, CO About Blog Green Chef delivers all you need to make wholesome meals at home: organic, pre-measured ingredients and delicious, easy-to-master recipes. Facebook fans 311,830. Twitter followers 4,980. Greater Orlando Area. About Blog A Culinary Journey With Chef Dennis - Easy Recipes, Travel Adventures and Reviews. Facebook fans 130,686. Twitter followers 22,403. San Francisco, CA About Blog Whether you are looking for an easy dinner idea, simple appetizer, or weekday breakfast, you'll find it here at The Weary Chef! Andi Gleeson is the author of this easy recipe blog, and she loves sharing down to earth recipes with her readers. Mission is Inspiring home cooks everywhere to make quick and easy dinners at home. Facebook fans 100,738. Twitter followers 5,618. Austin, Texas About Blog Welcome to A Sweet Pea Chef! My name is Lacey Baier and I'm so glad you've found my website. Let me show you how cooking can be easy and delicious! I share cooking tips, show cooking techniques, answer your cooking questions, and offer healthy takes on not so healthy dishes. Facebook fans 153,949. Twitter followers 236. Sydney, Australia About Blog The Healthy Chef, Teresa Cutter is one of Australia's leading authorities on healthy cooking. Checkout the healthy recipes for people who love food. Facebook fans 172,404. Twitter followers 8,664. Deliciousnote About Blog Ladyironchef, writes about his personal experiences from his daily life, dishing out honest reviews about food and dining places, countries and cities that he travels to and visits, and generic lifestyle products. Facebook fans 646,288. Twitter followers 18,004. ÜT About Blog Join international award-winning, Culinary Olympic gold-medalist, Chef Charles Carroll as he journeys into the homes of some of the world's most extraordinary people, to learn their own personal and professional secrets to an outrageously successful life on The Recipe Podcast, Celebrity Secrets to a Successful Life. Facebook fans 12,801. Twitter followers 3,259. San Francisco About Blog Watch, listen, learn, and enjoy! Hundreds of free, original video recipes, done by Chef John Mitzewich, the web's most popular cooking instructor. Facebook fans n/a. Twitter followers 31,261. Newark, Delaware About Blog Chef Savvy takes the worry out of cooking and helps reader’s conquer their cooking fears. With simple, easy to follow recipes I try to make cooking fun! Facebook fans 2,410. Twitter followers 2,016. Toronto About Blog Chef's Plate is putting Canadians back in the kitchen. By delivering easy-to-follow recipes and fresh pre-portioned ingredients right to your door, we take the guesswork out of cooking and have made food fun again! No more Sunday night grocery store lines, no more hunting for recipes – we handle everything so you can relax and enjoy the cooking experience! Facebook fans 29,986. Twitter followers 1,843. Marquette, MI About Blog Blog Chef is a blog with free online recipes, food pictures, cooking shows, and culinary news. The most dominant cooking blog in the world. Hundreds of free recipes! Facebook fans 31,741. Twitter followers 132. Los Angeles About Blog Find simple and delicious healthy recipes made with only whole, unprocessed ingredients by Andrew Olson at One Ingredient Chef. Facebook fans 14,141. Twitter followers 5,261. About Blog Real food, made from scratch, at an affordable price. Facebook fans 17,035. Twitter followers 975. Los Angeles, CA About Blog A vegan food and lifestyle blog and cooking show! Featuring easy, delicious, and healthy vegan recipes. Sweet Potato is a Soul Food journal. Also the food recipes provided are healthy, vegetarian, happy, and inspired. Facebook fans 41,253. Twitter followers 8,248. United Arab Emirates About Blog Chef in disguise is a blog dedicated to sharing easy and authentic middle eastern recipes. My passion is to share the rich and beautiful middle eastern cuisine and heritage with my readers. Facebook fans 22,569. Twitter followers 1,306. About Blog Our approach is actually very simple, yet incredibly effective in helping you lead a healthier life. We believe in reducing your intake of gluten and that refined sugars and refined carbohydrates should be avoided. We’ll never include pasta, bread or white rice and all of our recipes are 100% gluten-free. We’ll always fill you up though! Facebook fans 33,201. Twitter followers 8,453. New York, NY About Blog As the Skinny Chef, Jennifer Iserloh has been helping people lose & manage weight with delicious foods - without having to resort to calorie-counting, deprivation or gimmicks. Find out more at members.skinnychef.com to learn about foods to lose weight and what I consider healthy diet plans. Facebook fans 16,334. Twitter followers 5,033. Yank in Australia About Blog If you need recipes and instructions for creating great dishes, check with me. Blog by Maureen. Facebook fans 5,426. Twitter followers 9,016. Kansas City About Blog We're Jess and Frank of Inquiring Chef, here to celebrate home cooking, from exotic Thai food to simple suppers. With simple tricks anyone can make fast, healthy, exciting meals at home. Believe in your inner cook! Facebook fans 1,611. Twitter followers 4,555. Chicago, IL About Blog Delivering delicious prepared meals that adhere to Paleo, gluten-free, dairy-free, anti-inflammatory and organic diets throughout Chicago and suburbs. Facebook fans 4,482. Twitter followers 1,933. Garner, NC About Blog A website for beginning, intermediate and advanced home bakers and cooks. Online Pastry Chef Jenni Field wants to teach you the methods and techniques that you need to know to become more comfortable and confident in the kitchen. Also sharing recipes every day on Fearless Friends Sharing Recipes from our kitchens. Facebook fans 17,108. Twitter followers 5,012. West End, Queensland About Blog Silver Chef provide funding for commercial restaurant and kitchen equipment. Enquire today to find out how Silver Chef can help your business dream become reality! We look at your future earning potential, not necessarily where you've come from and back your success. Big or small, old or new, anywhere in Australia & New Zealand. Facebook fans 2,628. Twitter followers 1,600. San Diego About Blog Chef V’s cold blended Super Green Drink is a refreshing and delicious way to help you lose weight, gain energy and enjoy better sleep without the hassle of home juicing. Each hand made Super Green Drink is made up of locally sourced, organic ingredients, including 7 supergreens, and delivered straight to your front door. Facebook fans 3,306. Twitter followers 638. Silicon Valley, California About Blog No packaging. Nothing processed. No waste. Blog by Anne-Marie Bonneau. Facebook fans 16,918. Twitter followers 4,130. UK About Blog Exposing lies, pretensions and stupidity in the world of food. The rantings of a angry chef, sick of the lies told about food and health. Facebook fans n/a. Twitter followers 17,818. About Blog Jeffrey Vincent Simonetta is an Australian–Italian Chef whom has worked under some of Australia’s most influential Chefs. Facebook fans 380. Twitter followers 679. Los Angeles, California About Blog The 99 Cent Chef takes the haute out of cuisine, creating recipes for the people. Facebook fans n/a. Twitter followers 576. DXB, LDN, WAS, BEY, NYC About Blog ChefXChange is the smart, new way to hire a private chef for dinner parties, catering, cooking classes, nutrition program and your all special occasions. Next time book a Chef to make sure your kitchen stays intact, and smells like fresh food coming out of the oven, instead of burnt pots and pans. Facebook fans 6,761. Twitter followers 972. India About Blog Serving delicious dinner stories,one at a time. My blog is for anyone who’s looking for delicious yet easy recipes that won’t take forever to make or cost a fortune! Perfect for working professionals and SAHM always pressed for time! Blog by Swayam. Facebook fans 26,206. Twitter followers 977. Grand Ledge, Michigan About Blog The Chef Next Door is a place where I share my favorite recipes and cook simple, good food for all to enjoy. Baking is my passion, so you'll find plenty of sweet treats here, but I also share family friendly meals and snacks. Sit back and relax, take a look around and enjoy my tasty creations! Facebook fans 19,737. Twitter followers 3,791. Minnesota About Blog Forager Chef gets about 1000 visitors per day, and I have friends from Alaska to China I get to connect with about interesting food, pretty cool for an experiment that started in my friend’s basement! The journal and recipe log of Alan Bergo, mushroom hunting personality and Executive Chef of Lucias Restsurant. Facebook fans 6,626. Twitter followers 240. About Blog Join me as I celebrate the arts through African (Nigerian) cooking; and through my mother's recipes (some of which I tweaked to fit my choices). I shall also share some easy kitchen tips for the 'lazy' cooks like me. Connecticut About Blog Blog by Kelsey Banfield. My personal mission is to share recipes and tips that are family-friendly and help you feed your family wholesome, healthy food. Blog by Kelsey Banfield. Facebook fans n/a. Twitter followers 6,884. LA/SF About Blog Chef prepared Paleo meals delivered to your door and clean eating is made simple. Optimal nutrition with maximum convenience and restaurant quality taste is found at Eat Play Crush. Facebook fans 2,581. Twitter followers 6,097. Lenexa, KS About Blog Evolve Paleo Chef is a unique company where we can offer you a whole body solution when it comes to achieving your goals. Evolve is the only meal delivery company to have an on-staff Doctor, an on-staff trainer, and numerous classically trained culinary chefs. Whether it comes to weight loss, weight-gain, or restricted diets, Evolve has you covered. Facebook fans 9,902. Twitter followers 421. Global About Blog We Are Chefs is American Culinary Federation's blog focusing on issues affecting chefs, student culinarians and food from an industry perspective. Blog topics will focus on issues affecting chefs, students and food from an industry perspective as well as in-depth features on food and culture. Facebook fans 64,864. Twitter followers 10,914. Denver, Colorado About Blog We offer stylish restaurant aprons and high quality knife rolls. We also make Utility Aprons for craftsman/women. Customized and branded options available as well! Handmade in Colorado. Facebook fans 268. Twitter followers 287. Johannesburg, South Africa About Blog Chef! Magazine is aimed at promoting the art and science of cookery, raising standards in the hospitality industry and showcasing the profiles of the talented culinary professionals we have in South Africa. Chef magazine aims to keep the professional informed about what's happening in the business, celebrating success and creating innovation in the industry. Facebook fans 5,538. Twitter followers 1,636. San Diego, California, USA About Blog The American Personal & Private Chef Association. APPCA is the largest professional personal- and private-chef trade association in the United States. Any topic related food, cooking, nutrition, and the personal chef industry. Our Mission to promote the education and advancement of our membership in the personal- and private-chef industry, and the betterment of the industry as a whole. Facebook fans 2,666. Twitter followers 1,114. Dubai, UAE About Blog Hello Chef sends tasty recipes and fresh ingredients directly to your door, making it easy to cook a delicious meal at home. Cook incredible recipes. Receive ingredients for varied, fresh and well balanced meals for the week that you can easily cook in approximately 30 minutes. Facebook fans 2,946. Twitter followers 27. Santa Monica, CA About Blog Little Chef Big Appetite features my own healthy recipes as well as tidbits from my daily life in Los Angeles, CA. I may be pint-sized, but I come with one heck of an appetite and I hope you do too! Facebook fans 1,241. Twitter followers 1,532. Mesa, Arizona About Blog Brad is a leading authority on grains and the many uses. Chef Brad has years of experience in all things food-related from salad making to bread baking. Arizona About Blog America's Baking Sweetheart Chef Tess Bakeresse. Facebook fans 5,434. Twitter followers 659. Los Angeles, CA About Blog At Chef Eric’s Culinary Classroom, we are a top-notch cooking school that offers hands-on experience and technical education with a seasoned professional chef. We provide cooking students with access to a professionally designed kitchen, furnished with high-end equipment and a diverse calendar of professional programs and recreational classes. Facebook fans 23,543. Twitter followers 58,868. About Blog Southern chef Virginia Willis is a James Beard award-winning cookbook author, writer, and media personality known for her popular blog and delicious recipes. Facebook fans 30,686. Twitter followers 38,052. Johannesburg About Blog This is a blog about my personal journey through food. I’ll educate, I’ll entertain, I’ll review stuff and basically just debunk the complexity that is really not that complex when it comes to food. Blog by Lesego Semenya. Facebook fans 994. Twitter followers 13,721. Mayetta. Ks About Blog Howdy-I'm Chef Alli, a Fancy Farm Wife who's been stirring up a love of farm fresh cookin' with home cooks all across KS for over a decade. Chef Alli’s Farm Fresh Kitchen can be utilized to promote your brand, drive traffic to your event, create excitement for a new product, or help consumers connect with your organization’s mission. Facebook fans 7,557. Twitter followers 464. New York, NY About Blog Blog by Lisa Denning. I started this blog as a way to express my love and passion for food as well as the wine and spirits which I believe are an essential ingredient on every dining table. Please join me on a food and wine adventure! Facebook fans 204. Twitter followers 276. 62. Hunting Chef | Father, outdoorsman, husband and chef. Newberg, OR About Blog Just a guy that loves the outdoors and loves food. I wanted to be able to teach people how to make cook their harvest. I grew tired of writing down recipes for my clients I was guiding in the field. Now I try to direct them to the website so they can see the step by step instructions. Facebook fans 384. Twitter followers 11. London About Blog Nina is a London based chef and author of cookbook NINA St Tropez. Here you will get recipes and news on restaurant events. Facebook fans n/a. Twitter followers 2,263. About Blog The gluten free chef blog is premiere health and wellness community for persons living with celiac disease and those looking to live a happy & healthy gluten free lifestyle. A positive community for those living functionally flared. Facebook fans 1,078. Twitter followers 455. Perth, Western Australia About Blog Welcome to foodies blog by Amanda. She is a food, family and travel blogger. This blog focuses amazing food on those fantastic places around Perth that are must go and try. Facebook fans 7,107. Twitter followers 930. Facebook fans 2,527. Twitter followers 578. Philadelphia, PA About Blog The Chef's Last Diet is about exploring a healthy love of food, and making peace with food. Find recipes, stories and hacks. Facebook fans 540. Twitter followers 1,895. England, United Kingdom About Blog Chef Benson-Smith offers chef consultancy and food development to the catering industry and specialises in chef training, chef apprenticeships and cookery classes from the Chef Benson-Smith Academy in Brighouse, West Yorkshire. Facebook fans 101. Twitter followers 3,498. Facebook fans 1,647. Twitter followers 1,715. Gurgaon, India About Blog Welcome to my Food blog with over 600 recipes . As a MOM who is passionate about cooking, I am sharing mouthwatering recipes that have been tried and tested in my kitchen over the past two decades. From Traditional to Modern, Street food to Home Cooked, Tiffin Box to Party recipes, Breads, Cakes and many more. With easy instructions for every recipe MASTERCHEFMOM will excite you to try!!! Facebook fans 78,469. Twitter followers 963. Searcy, AR. About Blog New Orleans recipes you have to try Blog by Tommy Centola. Facebook fans 944. Twitter followers 2,224. Beaverton, Oregon About Blog The Cheery Chef is your source for gluten free and dairy free recipes. I offer a recipe e-book and soon to be published cookbook "Gluten Free Brunch for Everyone. Facebook fans 496. Twitter followers 1,221. About Blog Welcome to my Canadian recipe blog. I am dedicating this blog to Carl Busby, my husband, my friend, my sous chef...you are missed. To all my foody friends, both Canadian and International, who share my passion and love for cooking delicious, nutritious, and easy meals. Facebook fans 1,239. Twitter followers n/a. Toronto, Ontario About Blog hef Sous Chef is a Canadian food blog based in Toronto, inspired by the daily dishes of us; a recently married couple, or simply Philip and Mystique. Our intention is to share real food; unprocessed, pronounceable, good for you kind of food. And when real ingredients are the only items on your grocery list there are no rules to eating. Real food; no rules. Facebook fans 431. Twitter followers 377. Victoria, British Columbia About Blog Welcome To Straight Outta My kitchen, Where you'll Find everything that I can share about cooking. My approach to food is simple: I take the very best ingredients nature has to offer and prepare them with all the passion, creativity, skillfulness, and integrity that defines me as a chef. Facebook fans 79. Twitter followers 200. Bishan, Singapore About Blog Ian Low is a Singaporean singer/songwriter also known as The Silver Chef for his passion for food and cooking. Facebook fans 167. Twitter followers 602. Alberta & Saskatchewan About Blog Chef blog by Trail Appliances. Facebook fans 240. Twitter followers 213. About Blog On this blog, you will find easy, simple but yet delicious recipes and tips for your meals. Facebook fans 197. Twitter followers 18. About Blog A blog about vegetarian food, Indian recipes and my personal journey as a professional chef. Downingtown, PA About Blog The Wildflower Chef is a personal chef service located in Chester County, Pennsylvania. Chef Emily Scott prepares and delivers custom, healthy, wholesome meals to families in the Greater Philadelphia area. This blog is a place where I will share recipes, tips, and news updates from The Wildflower Chef. I hope I will inspire you! Facebook fans 191. Twitter followers 63. Metro Detroit About Blog Guest Chef is a Personal Chef and Home Catering Business serving the Metro Detroit area, focused on cooking from scratch with wholesome, fresh ingredients. I share recipes, tips and inspiration here. Follow along and let's cook something great together! Blog by Emily Wilson. Facebook fans 169. Twitter followers 55. 82. From Steph to Chef! Berlin, Germany About Blog I'm Luisa Weiss, a writer and home cook based in Berlin. Get Food and stories from a home kitchen in Berlin. Facebook fans 5,099. Twitter followers 11,083. Singapore About Blog I am a father of three and hold a day job in the financial industry. I love wine & dine and spend my free time experimenting new recipes and wine pairing while my Mrs loves to bake. Our dream is to set up our own restaurant and/or wine shop to pursue our interest and make a living at the same time. Facebook fans 2,433. Twitter followers 13,603. Cleveland About Blog Blog by Michael Ruhlman. I write books (more than twenty now), mostly about food and cooking, half with chefs, some non-food non-fiction books (wooden boats, the fascinating world of pediatric heart surgery), and a lot of opinions here on the fundamental importance of food and cooking to our families, our communities, our world. Facebook fans 104,829. Twitter followers 199,884. Cambridge, England About Blog Tired of struggling with different meals for the whole family? Let the Rocking Raw Chef show you how to make ONE meal for everyone and save HOURS in. I'm a raw food chef, teacher, speaker and author. I specialize in 5-minute recipes using simple equipment ingredients to share with everyone, raw or not. Blog by Barbara Fernandez. Facebook fans 919. Twitter followers 1,927. Danbury, CT. About Blog Ergo Chef designs, manufactures, OEM's, distributes, wholesales and sells quality ergonomic cutlery and kitchen gadgets. Our mission is revolutionizing the culinary industry with ergonomic cutlery and gadgets that match user comfort with the highest quality craftsmanship & precision. Facebook fans 8,659. Twitter followers 6,899. Los Angeles, CA About Blog California Chef Services provides delicious, fresh, chef-prepared meals cooked especially for you according to your likes, dislikes, and dietary and nutritional requirements. California Chef meal delivery is the affordable way to have your own personal chef cater to all of your culinary needs. Facebook fans 657. Twitter followers 1,261. Chicago, IL About Blog Chef Magazine is the publication for restaurant and foodservice professionals. Chef offers a unique blend of food and equipment articles, enhanced by reports on industry news and events and other cutting-edge topics affecting the success of today's industry professional. Chef Magazine integrates the art of food preparation from back-of-house techniques to the front-of-house dining experience. Facebook fans 1,761. Twitter followers 1,528. Shawnee KS (Johnson County) About Blog Friend That Cooks Personal Chefs offer weekly meal prep for families with busy schedules, food allergies or special diets. We send a talented personal chef to your home for a half day each week to shop, cook, clean up and stock your refrigerator with a week's worth of healthy, prepared meals to reheat. Facebook fans 1,981. Twitter followers 987. Seattle, WA About Blog Thierry Rautureau, known as the Chef in the Hat, is the chef owner of Loulay Kitchen & Bar and Luc restaurants in Seattle. Loulay and Luc bring a French twist to the best of Pacific Northwest cuisine. Loulay is located in Downtown Seattle and Luc is in Madison Valley. Facebook fans n/a. Twitter followers 6,756. Victoria, Vancouver Island About Blog Heidi Fink, a Red Seal Chef and an award-winning cooking instructor, has been teaching cooking classes in Victoria, BC, since 1999. Her fresh recipes, down-to-earth teaching style, and many cooking tips ensure that her students leave class with the confidence and enthusiasm they need to cook delicious food at home. Facebook fans 1,888. Twitter followers 1,174. About Blog Welcome to The Informal Chef. I am Christine and I am passionate about learning the "kung fu" of making good food. I have no formal training in culinary arts (or science), hence, the title of my blog. I, however, feel that I have much to share and also much to learn. Hope you have a fun time reading my blog! Do try out my recipes. I'd love to hear from you. Facebook fans 3,633. Twitter followers n/a. Portland, OR About Blog Check out whats happening behind the scenes at Farm to Fit and view our special promotions. Farm to Fit is dedicated to bringing you the best organic food. Our goal is to redefine what "diet" means. Long have the days passed of frozen foods, fad diets, and extraneous packaging. At Farm to Fit we know that the first part of healthy eating is knowing what's going into your body. Facebook fans 1,144. Twitter followers 33,761. Jersey City, NJ, USA About Blog Bambino Chef provides cooking lessons, birthday parties, summer/winter camps, story time sessions, play date gatherings, holiday events, adult cooking classes and other learning and developmental activities. Facebook fans 1,885. Twitter followers 1,062. About Blog Newport International sells a myriad of seafood products - from varieties of crabmeat to surimi and shrimp - catered to all consumer markets and budgets. Our customer base extends to numerous national restaurant chains, supermarkets, distributors, and manufacturers. Also, we can craft specialty items upon request if need be, an invaluable testament to our seafood know-how. Facebook fans 3,500. Twitter followers n/a. About Blog Chef Si cooks fun food, tells fun chefs stories and cracked fun chefs jokes, she loves laughter in the kitchen and dinning room. 98. Chef Murph's Blog | Good Food Makes for Better Decision's!!! South Jersey About Blog My cuisine I styled and cook is Global Fusion Americana (TM). Is the melting pot of cultures and food from around the world. The right food helps us think, learn and be come strong. I believe food brings people and culture to the table to talk, where problems are solved. Blog by Chef Murph KT. Facebook fans 15,571. Twitter followers 68,458. About Blog Michel Nischan is a three-time James Beard Award winning chef with over 30 years of leadership advocating for a more healthful, sustainable food system. Facebook fans 6,248. Twitter followers 6,306. About Blog Dancing Chef Natasha MacAller, ballerina-turned chef and author of “Vanilla Table: The Essence of Exquisite Cooking from The World’s Best Chefs”, has always had a vested interest in health and a passionate interest in spices. Facebook fans 1,053. Twitter followers 276. NYC About Blog Daniel Angerer's culinary career has taken him from the finest kitchens throughout Europe to several of New York's well-regarded dining establishments. Chef Angerer’s cooking style is pure, vibrant and resourceful. He can make the simplest ingredient taste exquisite. This skill brought him victory on Iron Chef America where he made the secret ingredient “beer” taste superb in dish after dish. Facebook fans n/a. Twitter followers 296. Facebook fans 440. Twitter followers 718. Cape Town, South Africa About Blog From humble beginnings, Yuppiechef is one of South Africa’s most celebrated online retailers with our sights set on international expansion. We currently deliver the world’s best kitchen and home products to eight countries. Yuppiechef is on a mission to bring people together through the cooking and sharing of good food. Facebook fans 116,392. Twitter followers 24,065. Bay Area, CA About Blog Experienced Chef & Mother of 2, Amy, shares her delicious family friendly recipes & helpful tips about how to cook gluten-free and dairy-free in her blog. Chef Amy Fothergill shares her best recipes with you for quick and easy dishes with an emphasis on gluten-free. She can teach you & your friends how to cook delicious dishes. Facebook fans 3,445. Twitter followers 2,473. About - Great British Chefs is the team behind the fastest growing food websites in the UK. Itis a go-to destinations for foodies in search of recipe inspiration, technical expertise and the latest chef and restaurant news and reviews. Celebrating Britain's greatest chefs, recipes & food news. About - Sous Chef is the shop for people who love cooking. We are the place-to-be online for cooks and chefs – with ingredients, equipment, tableware and gifts inspired by leading restaurants and international food. Follow us for new arrivals, tips and recipes. About - Only Chefs is not a traditional job board, instead we’re a place where Chefs can create and post a hire-me profile about what makes them great, listing experiences, qualifications and more that recruiters and employers can easily review against their hiring needs. You post, we promote, employers search. About - Exposing lies, pretensions and stupidity in the world of food. The rantings of a angry chef, sick of the lies told about food and health. About - SK Foods is the leading edge of the UK chilled snack foods & ready meals manufacturing industry. They create ranges of delicious chilled snack foods and ready-to-enjoy meals alongside our clients, who include the top supermarkets in the UK. 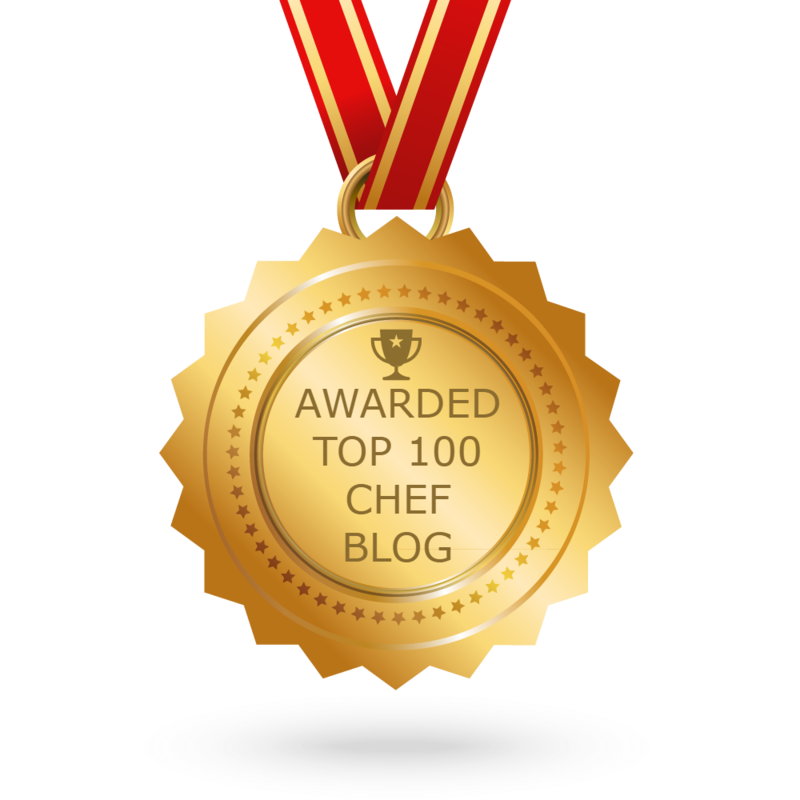 CONGRATULATIONS to every blogger that has made this Top Chef blogs list! This is the most comprehensive list of best Chef blogs on the internet and I’m honoured to have you as part of this! I personally give you a high-five and want to thank you for your contribution to this world.